Technology won’t phase out the traditional accountant overnight, but in three to five years accountants will undergo a complete role shift, believes Mr Noble, the founder of LodgeiT, a tax return software for accountants. Accountants must start thinking about what they can do to secure the future of their profession, which may mean taking on more of an advisory role. “Accountants now have the opportunity to take a hard look at the functions that go with manual transposition, and that will shortly be lost to automation,” Mr Noble says. He explains that manual regurgitation adds no value to the client. “When a client goes to an accountant to get a compliant service handled, the accountant ends up moving data around from a paper or PDF to another system, this adds little to no value to the client,” says Mr Noble. Automation will free up accountants, allowing them to focus their time on value added services, such as providing advice, says Mr Noble. “The future role of an accountant is as an advisor and accounting systems manager,” Mr Noble judges. He believes accountants will move from transactional accounting to building business strategies and helping their clients grow, adapt and thrive. “This is where they will be able to offer their real value,” Mr Noble says. Mr Noble’s LodgeiT software is an all-in-one, multi-functional compliance platform designed to provide accurate, superfast tax form preparation and lodgement. Recently, LodgeiT forged an exclusive partnership with Intuit, the world’s leading financial management solution. Together, they have a mission to help accountants get more time back in their day by automating compliance. When combined, Intuit’s new offering - QuickBooks Online Accountant Prep for Tax - and LodgeiT, help accountants become strategic business advisors. 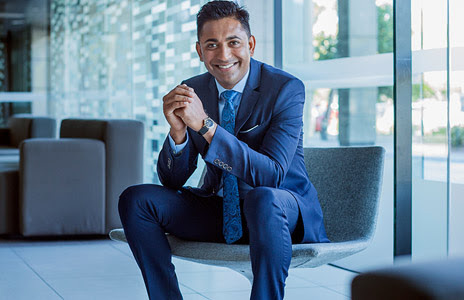 “We are excited to partner with LodgeiT, a company that shares the same vision to drive efficiency in accounting firms, to introduce end to end tax preparation and lodgement solution for Australian accountants,” Krishnakumar Padmanabhan, principal product manager at Intuit QuickBooks Online Australia, says. Essentially, Prep for Tax is a one-stop-shop for accountants looking to efficiently review their clients’ books, make adjustments and corrections. Once they have done this, Prep for Tax enables accountants to export data from QuickBooks Online, and prefill tax forms and financial statements in LodgeiT with a click of a button. Mr Padmanabhan explains that before creating its software, Intuit observed a number of Aussie accountants prepare year-end tax for their clients. “One of our key learnings was that even though clients have transitioned to cloud, the accounting practices haven’t been able to make the best use of capabilities that cloud provides such as a single ledger. They spend anywhere between 30 mins to an hour in just exporting data from their client’s accounting system to a tax solution,” he says. Intuit’s vision, he adds, is to create a place for accountants to grow. “Intuit’s vision for accountants is to create the one place to help them grow and manage their practice and all their clients, across all the services they offer. “Efficiency is key to driving firm growth,” Mr Padmanabhan says. So, are accountants embracing automation? Mr Noble recalls accounting in the early ’90s and the processes in place at the time. He explains that much like now, two decades ago accountants were taken aback by the introduction of the first desktop PC and the ATO’s early ELS lodgement technologies. As the world became more digital, these early manual tools shifted from being desktop based to the online world. Accounting evolved from manual cashbooks to a world of sophisticated software. “We’ve been building tools that are web enabled so they exist online. Essentially, they provide accounting firms with the ability to compile tax returns online,” explains Mr Noble. “The move to the cloud has meant that these tools can now be connected to other systems. So today, you no longer have to key that data in, you can just import it. Despite significant tech shifts, Mr Noble reveals that accountants are “just starting to recognise the potential offered by compliance automation” and are cautious of the impending changes. He warns that accountants really only have two choices – to get on board or remain impartial. “I don’t think anyone wants to fight technology, because accountants are using it already. So, they will either be impartial to it and continue to use their current systems, tools and processes, or they will embrace it and look for how to adopt and adapt to it,” Mr Noble says. Automation will certainly improve, meaning that records will require very little manual input in the not-too-distant future. Mr Noble believes that those who choose not to adapt to automation will give their competitors a great advantage. “It won’t be long until teams like ours can take automation to the next level and make it even more functional so that there is even less of a requirement for accountants to move data around manually. We are not a long way away from full automation,” warns Mr Noble.